In mid-August, the California Water Association (CWA) submitted comments to the California Public Utilities Commission (CPUC) on two Order Instituting Rulemakings (OIR or rulemaking). CWA’s comments on the OIR to Establish a Framework and Processes for Assessing the Affordability of Utility Service under Rulemaking 18-07-006 (see the article in the June-July edition of “On Tap”) centered on the challenges associated with assessing and seeking to ensure affordability; resources that may be useful to inform the proceeding; and consideration of the proceeding that may interact with other related efforts. 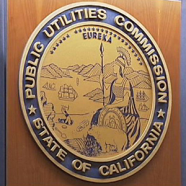 CWA urged the CPUC to avoid developing an affordability standard for CPUC-regulated water utilities that is inconsistent with the standard developed by the State Water Resources Control Board. Objective of Achieving Consistency between Class A Water Utilities’ Low-Income Rate Assistance Programs, Providing Rate Assistance to All Low-Income Customers of Investor-Owned Water Utilities, and Affordability (also see the article in the February-March edition of “On Tap”) urged the CPUC to exercise caution in its actions on two new proposals in the rulemaking involving consideration of a low quantity rate for low-income customers and customer information-sharing between energy utilities and municipal water authorities: (1) The concept of a basic amount of water at a low quantity rate already is reflected in current water rate designs; and (2) While CPUC-regulated water utilities have benefitted from access to low-income customer data from investor-owned energy utilities, sharing this data with entities that are not regulated by the CPUC could raise privacy concerns. The letter concluded that current water tiered-rate designs already make basic amounts of water available to customers at low quantity rates. There is no need to adopt a standard requirement in this rulemaking proceeding, particularly since rate design issues are best addressed in water utility general rate cases where the CPUC’s policy goals can be properly considered in the context of the unique circumstances of each water company or district. CWA will remain an active participant in both proceedings to help develop well-reasoned and comprehensive frameworks on behalf of CPUC-regulated water utilities and their customers.